Have you guys forgot LG? LG company is one of the old device producer even up till now they still hot as we've seen them with a lot of devices especially talking about smartphones this days.Have you not seen any? LG has produce a lot of standard devices which has compete with other smartphones in the market. We have recently brought to you many devices from LG so not point going over it, here is what we have today, just taking a recap on recent review article talking about LG G7, LG V35 and ThinQ 40 and many more. To burst folks again LG has revealed new device coming with triple or trio cameras with a flash led along so its cool seeing this as we've never seen this is the time past, all we have seen is single camera setup. The leaks has revealed this in black colour option with fingerprint reader and around the front there appears to be two more cameras in a notch. LG V50 ThinQ will be officially introduce soon by first half of 2019 with Snapdragon 855 processor, 4000mAh battery. It seems this phone will be one of it kind as it comes with Vapour chamber to help keep the device running cool and not only that this will be coming in support of 5G network. 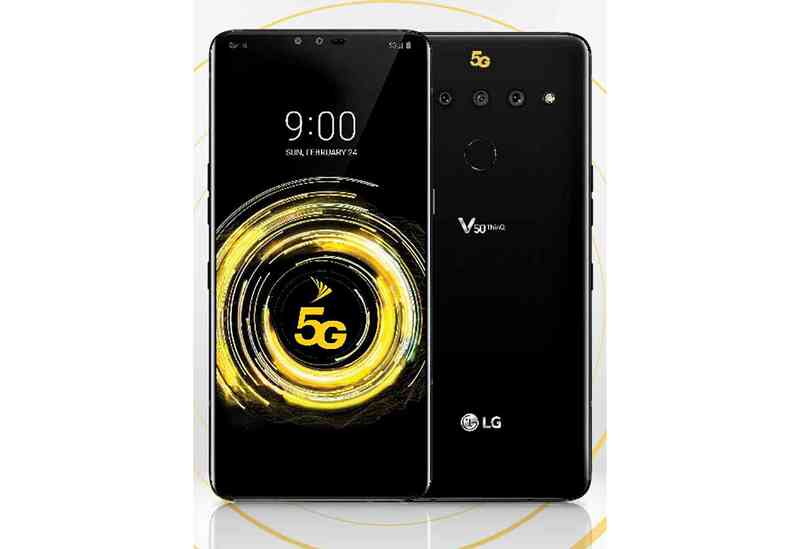 So what else let keep looking out as LG drop it V50 phone. Howdy! I could have sworn I've visited this web site before but after looking at a few of the posts I realized it's new to me. bit of it and i also have you book marked to look at new things in your website.